The wings of a flight attendant mean something very special. They are damn hard to get, and they're worn by every flight attendant in the sky. They have wings on their hearts too! They are there to love and serve you and protect you. They keep the passengers safe even if they suffer in the process. They are frequently the first ones on the plane and the last ones off. Being a flight attendants doesn't pay well when you first start out. It's the benefits of flying all over the world for minimal cost that is the big attraction. Ah, the love of travel. And often, its something more deep and touching. It's in the blood. A grandfather who is a retired captain. A father who is a pilot. A mother who is a flight attendant. 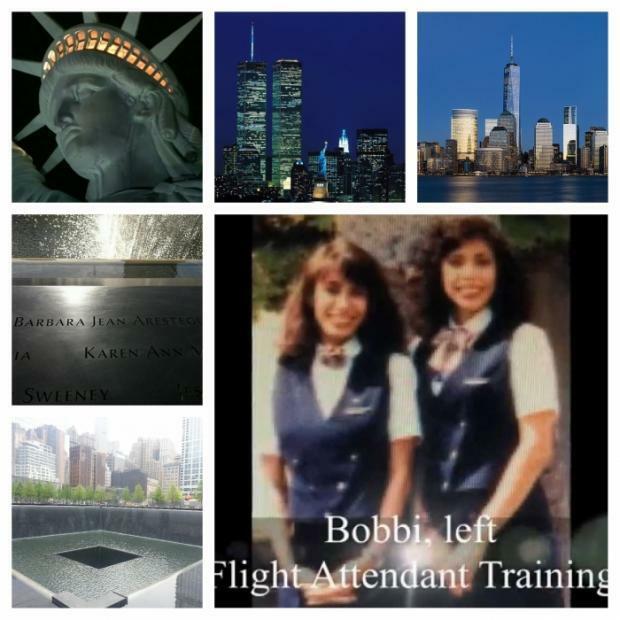 And in the case of Barbara Arestegui, sisters who also are Flight Attendants for American Airlines. Though we lost Barbara during the World Trade Center Attacks, Barbara's beauty still rises from the ashes. She was faithful to the end of her duties. The crews are there to serve you (the flying public) through thick and thin, death and life.